@Mr B wrote: Good cores & pipe runs make a difference, trouble is not many tuners got the equipment or spare time to test it all in depth & accurately & most into easy cash tuning rather than engineering facts. Standard top mount has very good flow, only real issue is some heat soak & poor air feed, recored with quality core & some effort on heat shielding & air flow gives a pretty functional top mount for those who prefer keep it. On the R I prefer good effort on top mount mixed with water injection or swapping to a charge cooler as layout of car lends itself well to both. front mounts are fine if done well & needed for usage & power . Front mounts was a bit of a trend but now more people like a more standard layout so they need realize top mount can handle good hp figures in western climate with bit of work. front mounts are cheap & easy but many are bit shoddy in layout or component quality . if a tmic is fitted with a little bit of thought then you can run 350bhp with them (I know as just done a trackday with one fitted) and temps at plenum were very cool even after a good thrashing on track. Infact I think many fmic kits are worse for heat absorbtion due to the thin core aluminium piping which soaks heat from manifold like a sponge, plus you have the added lag which goes with it. As mr B said its easy to run a car without any intercooler fitted if you just want to check for misfires etc. All you need to do is unplug the maf from the intake pipe and clamp it direct onto plenum then she will idle as normal. 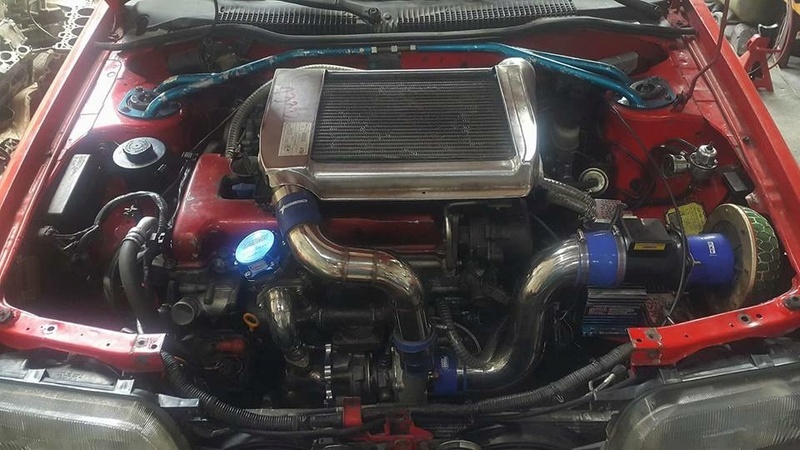 If you are gonna get a fmic kit then don't buy a core bigger than you need for the given turbo you are running. Make your own pipe runs to keep it as short as possible with no sharp bends and you will then have a far better setup than all the ebay generic stuff available. Also you really do not need 2 1/2'' pipework if the runs are good as the turbo outlet on most is only 2'' anyway. All this will help massively with spool time. Really does come down to horses for courses with anything like this! 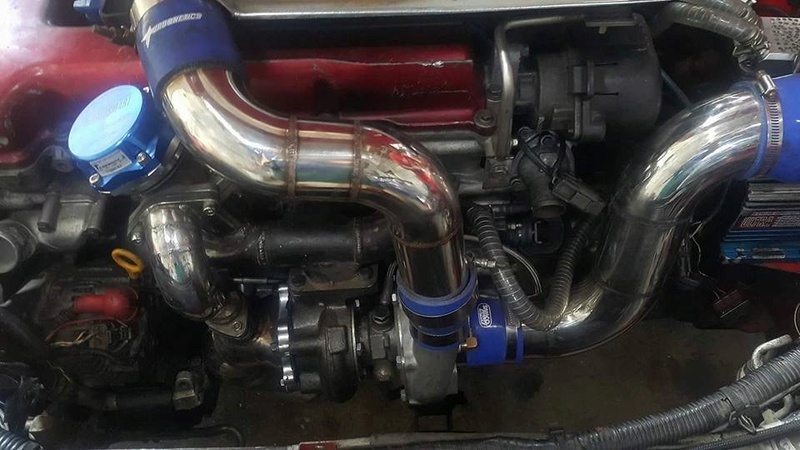 I run an ARC top mount but it’s pretty beat up, I’m gonna have it recored with either a Vibrant or PWR Bar and plate core, but I really wanna do intercooler piping out of stainless like this.